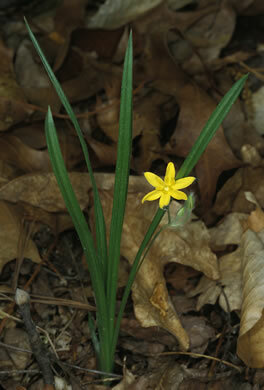 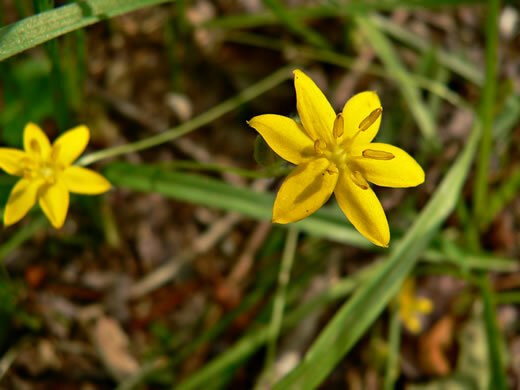 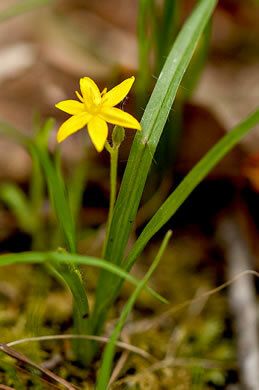 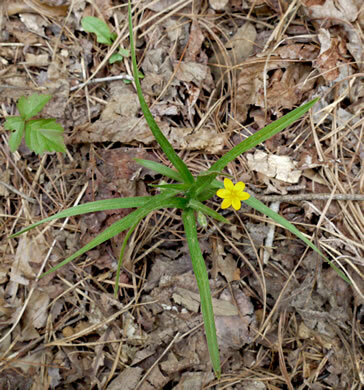 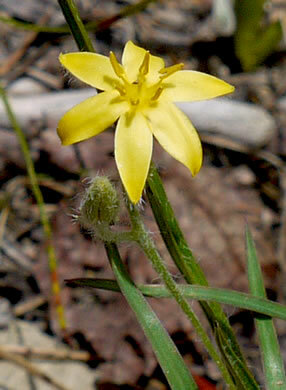 The only species of Yellow Stargrass in the mountains and piedmont of SC, per Guide to the Wildflowers of SC. 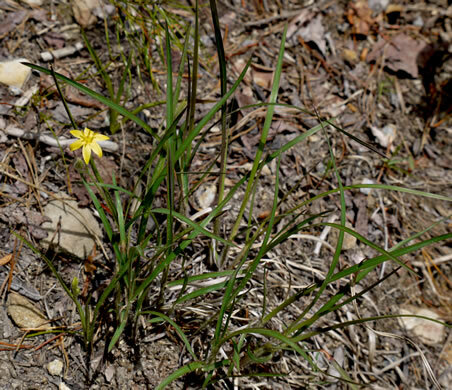 Leaves grasslike; blade linear to setaceous. 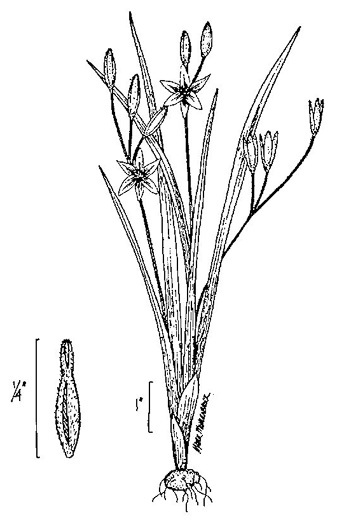 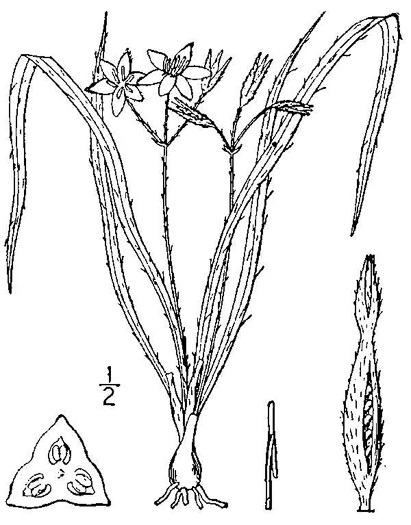 Scape usually shorter than leaves, per Flora of North America.